Nakajima Saki has always been 'cute' to me. She is an adorable girl, someone who doesn't seem to age, and who has a very innocent look about her. But she is also incredible, an amazing dancer who has inspired others and proven that there is more to her than just a baby-faced beauty. Surprisingly, she is also one of the most senior members of Hello! Project, as well as the sub-leader for ℃-ute. I think that, if you were to ever look at Nakky for the first time, you would not think that she was one of H!P's best dancers, or that she was 23 years old. You would probably just think 'wow, she's adorable!'. And she is, it's one of the reasons I like her, but there is so much more to this girl than meets the eye, and that's another thing I love that about Nakky. She is really not what you would expect, upon first sight. 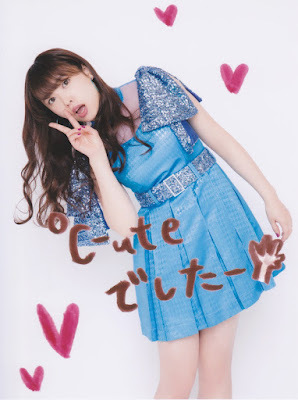 I don't think that Nakky was one of my insta-favourites when I was first introduced to ℃-ute. I mean, I thought she was adorable. She definitely had something about her that I enjoyed, however, she wasn't one of my Top members. It wasn't until recently that I really started to adore her, actually, enough to say that she's a solid #2 in ℃-ute for me. But, back then, she was more my sisters favourite than mine. Still, I thought she was cute, and I liked her enough. For a long time, though, I've always viewed Nakky as a 'back' member. She was never really at the front like others were, at least not in singing. Now, don't get me wrong, Nakky has had her fair share of pushing since the groups inception; I don't think that she's ever been neglected or ignored in favour of others, like girls in MoMusu have, however, Nakky has never had the push that Airi, Maimi or Chisato have. But, she's never been a shrinking violet, either. Whenever you see her in a video or a live setting, Nakajima is always smiling brightly, and is ready to impress. She's like a light that never fades, always bright so that you know that she is there. Well, in singing she was never pushed. In dance, however, she stole the show, and that is where Nakajima Saki received her well-deserved push. Actually, I never understood why Nakky was never a vocal center; it's not like she can't sing. I mean, if you get real picky about it, she's probably the fourth best in ℃-ute, but honestly, if you hear her live, this girl is wonderful. She actually can go a bit lower than her studio recordings let on, and yeah, she's far better than Mai is, by a long shot. So, I never understood why people said she was terrible or shouldn't be allowed lines... because, Nakky isn't terrible. 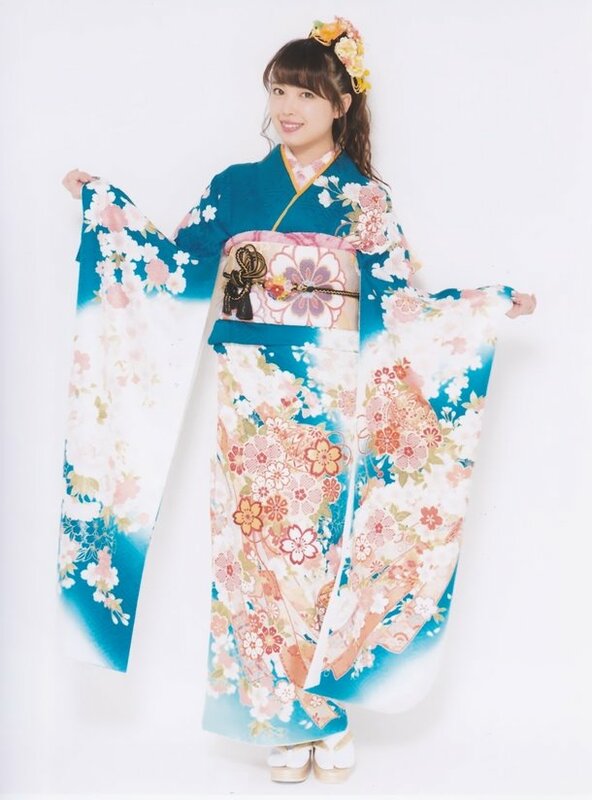 However, people have always been more impressed with her dance level than anything else, and I can't blame them; Nakky is one of the best, and has been for a long time. Not even Ishida Ayumi could hold a candle to her, or the 'great' Sayashi Riho. I say that with a hint of sarcasm, by the way. I guess that's my bias talking, in a way, but I do think that Saki is a great dancer, and better than the other 'great' dancers of H!P. It's a level that will be hard to beat, but, it's also a title that Nakky now needs to pass on to the next generation of Hello! Project. I actually wished, when the groups graduations was announced, that Nakky would continue as a choreographer for H!P. They need some fresh blood, new ideas... because, y'know, chicken wings and wobbly legs really aren't doing it for me. For a long time now, Nakky has been one of H!P's leading dancers, but for just as long, I have wanted to see her as a lead singer. I know that wish won't come true, not now, but I'm just glad that, as a part of 5-nin ℃-ute, Nakky was able to share lines a lot more diversely than other groups, and was able to receive the great amount of spotlight she has. Like the other members, she has something that the others do not have, a skill that she is better at than the rest. For her, it is dance, and she really does shine when she's given the spotlight in the groups choreography. This girl is like a ray of sunshine,. When Nakky smiles and comes on-screen, I feel like she could light up the world. I don't know how anyone could ever hate her smile, or the joy she brings to this Idol world, and I know for certain that, once her smile is taken away, I will be incredibly sad. For so long, she has brought me joy on-screen and shown us the delight of watching an Idol hard at work. 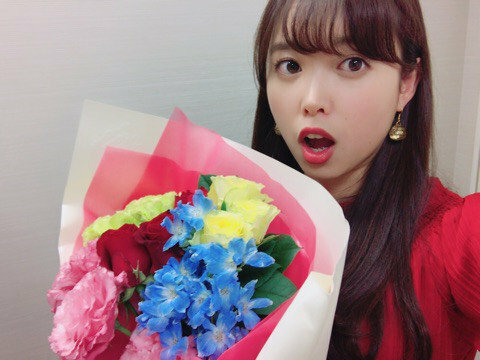 Ever since becoming a part of H!P Kids, Nakajima Saki has provided for us her time, efforts and energy, and given us delightful music, wonderful dancing, and entertainment that will last us a life time. I can see why so many people love her, and why both my sister and friend, Ash, are dedicated fans of hers. She's not just a cutie pie, but a force to be reckoned with. Nakky is an Idol who you expect to be dainty and sweet, but in fact, she's as cool and tough as they come. She'd have to be, after being in the industry for well over a decade. An endearing, sweet girl, one who can out-dance most of H!P without even breakign a sweat. She truly is a hard working Idol, and one I will miss once she leaves the spotlight to pursue acting. It's a shame that she will leave her dancing behind, but, at least we will still see her, somehow. Much like Yajima Maimi, once Nakajima Saki graduates, it will feel weird. Ever since my early days as an Idol fan, Nakky has been there, and she has been present as a core part of my Idol fandom, from beginning until now. For so long, my sister has adored her and watched over her, and for a good while, I have been entertained by and adored Nakky, too. She may not have been my favourite, but I was able to appreciate and like her because of my sister. Through our years of Idol fandom, me and my sister have enjoyed what ℃-ute provided in music and visuals, and we were able to fall for certain members. And now, the beginning of our fandom is unravelling. We no longer have the Morning Musume we knew. We no longer have the S/mileage that arrived when we started to truly become fans, and before we know it, we will no longer have a group that has been a constant in our Idol lives, and my sisters one true Oshimen will be gone. It's really heartbreaking to think about it, like that. Soon, Nakajima Saki will be a former member of ℃-ute and Hello! Project, and head down her own path to pursue acting. Soon, we will no longer have 'the best dancer in all of H!P', but we will have the memories she has created for us all. For so long, this wonderful young woman has shared a lot with us fans. From childhood to adulthood, Nakajima Saki has given being an Idol her all, and given up the life of a normal girl to pursue entertainment, where she could bring joy to other people and improve her skills in various areas. For 15 years, this girl has given us everything, and not once has she given up. Now, it is time for her to follow a new dream, and create more memories for herself. I feel so grateful that Nakajima Saki was a part of my Idol-loving life. She has provided me with such happiness, but one of the things I am most thankful for, is that I was able to meet her for both myself and my sister. I was able to tell this wonderful Idol that she was loved by me and my sister, and I was able to see the expression on her face turn into one of pure delight. Nakajima Saki is such a beautiful, sweet girl, and I feel blessed that I was able to say she was a part of this fandom that I adore so much. So, of course it breaks my heart that soon, she won't be a part of this fandom. But, the memories will always be there, and I will always look fondly at the cheer she has brought me in my life. She is a shining star, one who always shines brightly on and off the stage. Nakajima Saki is an Idol I will miss greatly. Her passion and drive as an Idol is inspirational, and her skill in dance is admirable. I hope that, in her future as an actress, Saki continues to show a great amount of determination and delight as she has done in her career as a member of ℃-ute. She truly is a wonderful Idol, but for now, it is time for Nakajima Saki to step down, and let a new generation of Idols come into Hello! Project. For more than a decade, Nakajima Saki has been our Idol. She is our beacon of light, a smile that never fades even when it rains, and a source of delight for the fans who want a slice of happiness on the darkest of days. Nakky is someone we will always treasure, an Idol who will always be in our hearts. 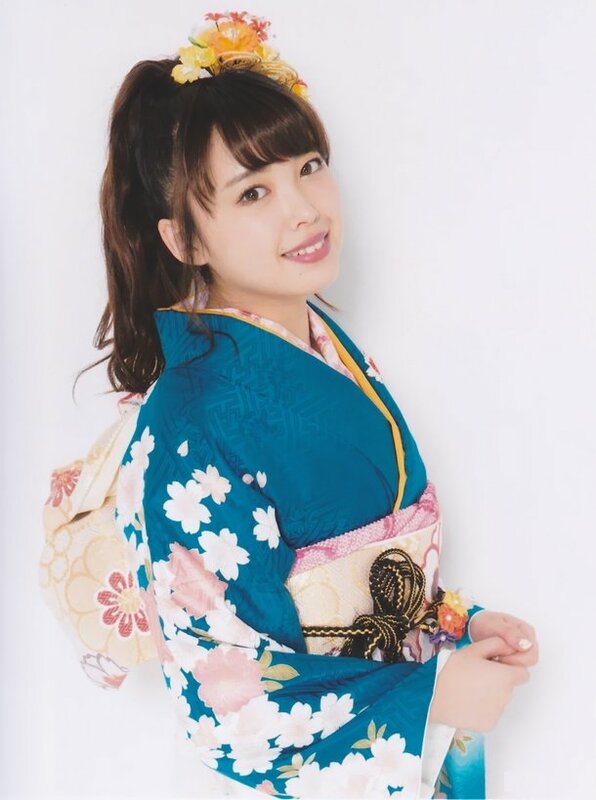 Nakajima Saki, どうもありがとうございました！After years of dedication and joy, we will always remember your everlasting smile! Nakky is a stunner visually in looks and when you see her dance. She's always got so much passion and power in her moves! I really hoped for double Saki (Captain, Nakky) to choreograph dances for H!P, but alas Nakky has her dreams. You really can't tell she is 23 just from looking at her! She hasn't aged much at all since her KIDS days! NAKKY ;; It's so sad that we won't see her dance again... she truly is beautiful, and amazing in dance. Urrrrh!!!! I would love it if both Saki and Nakky choreographed the groups dance shots, because holy lord, UFP need it. They need some great help, their choreography has been awful these past few releases. Nakky is forever 12, I swear. Ahahaha.